You are currently browsing the tag archive for the ‘vernal’ tag. It’s April Fools’ Day! Although rampant pranks, tomfoolery, and hijinks can make navigating the internet (and the world beyond) a bit treacherous, today is also a special day for Ferrebeekeeper. Four years ago this blog started out on April 1, 2010. Thanks again to all of our readers for your support and comments! No fooling! My readers are the best! I feel conflicted about April Fools’ Day as currently celebrated in the English and Scandinavian world. The news becomes somewhat useless today–as any story could be a fabrication. The real sadness is the actual news becomes suspect. Ebola epidemic, live artillery exchange between North and South Korea, and mudslides are hardly laughing matters (although anything involving our political leadership might be a different matter). 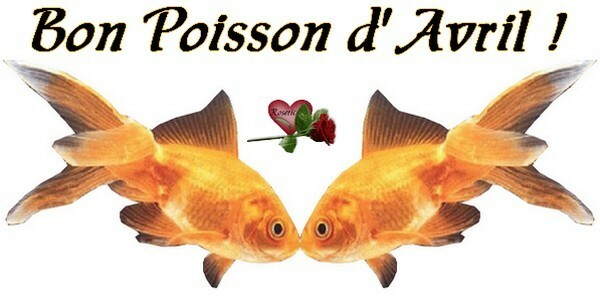 The French have a much nicer celebration of April Fools’ which is known as Poisson d’Avril (literally “fish of April”). 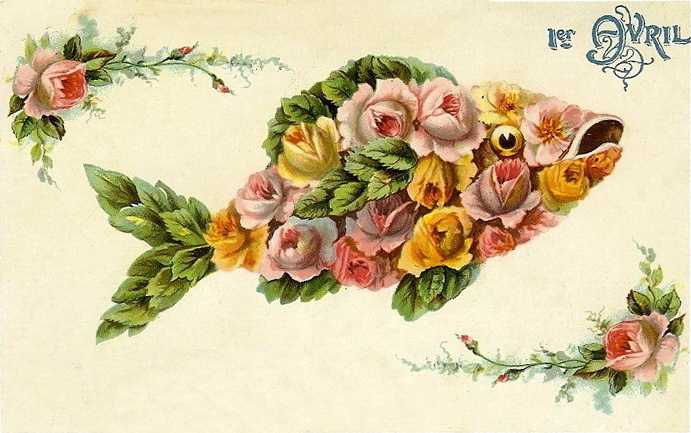 In France, pranksters try to surreptitiously affix colorful paper fish to the backs of various friends, family, and colleagues. The day also has a more child-friendly aspect, as grade-school children make colorful craft fishes (either for pranks, or for display). 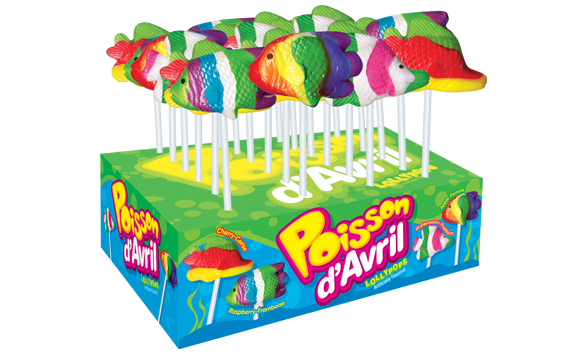 Additionally, delicious confectionary fish are a happy addition to the informal holiday. Some folklore experts believe that the fish tradition was started due to a disconnection between the new year as celebrated by sophisticated courtiers and burghers (on January 1st) versus the beginning of the agricultural year in April–which played a bigger role in the life of more provincial folk. Other academics speculate that the holiday is even more literal and celebrated the hatching of naïve young fish which could be easily caught and consumed! Kindly pretend I sent one of these to each of my readers! Of course the true roots of April Fools’ Day go back much further into the depths of history. The Romans had a holiday named Hilaria which was observed on the vernal equinox in veneration of Cybele, the great mother goddess. The Indians celebrate Holi, a spring festival of colors, intoxication, and fun. 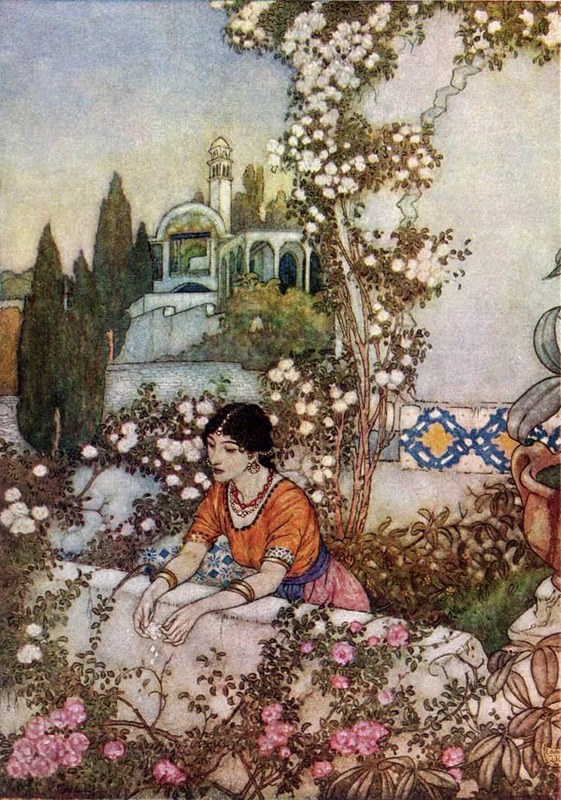 Perhaps the most ancient spring prank holidays involve ancient Persia. Purim, a Jewish spring holiday, commemorates the deliverance of the Jewish people from Persian hegemony. The day is celebrated by contemporary Jews with masquerading and comic dramatizations. 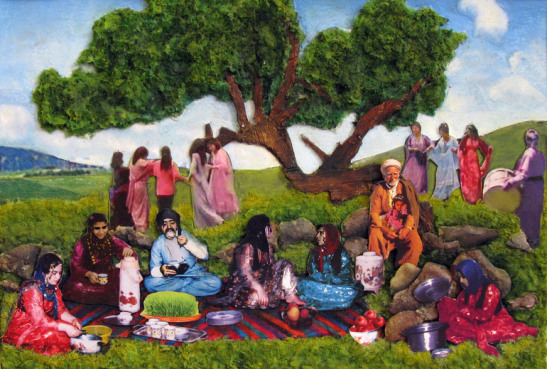 The ancient Persians themselves had a sacred spring holiday, Sizdah Bedar, which celebrated humankind’s connection with nature through games, feasts, and communion with the forest and country. If I say “Happy Persian Spring!” will I be censored by the mullahs?